... visit us at World's most important fairs and congress events for biotechnology, it's a must. Ask for our expertise ! Since its founding over 30 years ago, ZIRBUS technology GmbH has made an excellent name for itself on the global market, with a steadily increasing number of customers putting their trust in Zirbus brand autoclaves and lyophilizers. ZIRBUS technology entered the market in 1984, embracing a philosophy that is reflected in our high-quality, highly customized instruments. The idea behind the company’s founding was to develop instruments tailored to the highly specialized demands of each individual customer. Rather than buying off-the-rack instruments, our customers can purchase products suitable for unique applications in an exceptionally wide range of fields—and that has given us an excellent reputation. Our customers can look forward to a product made entirely by hand and produced exclusively in Germany. ZIRBUS technology GmbH is currently a reliable partner for the food and pharmaceuticals industries, and to customers in the fields of research and medicine. Our steady growth and customer-oriented expertise attest to the success of this strategy. Over 50 reliable, innovative employees contribute their talents to the company each and every day. The primary focus of the company’s attention, however, is on the specialized instrumentation needs of our clientele. We plan, develop and produce customized products ranging from single instruments to complete systems. 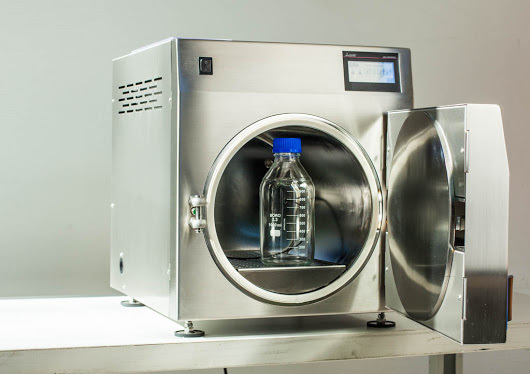 Our autoclaves can accommodate any conceivable volume, and our Steriline department is committed to responding to all of our customers’ questions and suggestions. We offer everything from benchtop autoclaves to large-scale and high-pressure models. To meet our customers’ lyophilization needs, our DryTec department develops new freeze-drying and lyophilization technologies, likewise taking the unique concepts and needs of our customers into account when developing their individual instruments. This process results in a comprehensive array of freeze-drying systems, allowing our customers to choose from vacuum dryers, rotary dryers and, of course, lyophilizers, depending on the types and quantities of samples to be dried. Comprehensive, expert consultation and impeccable service simply go without saying at ZIRBUS technology GmbH – yet another way in which our company is a world leader for all manner of laboratory instrumentation.